There are various names associated with the village of El Acebuchal – “the Lost Village” and “the Ghost Village – el Pueblo Fantasma,” are the two that seem to be most commonly used. 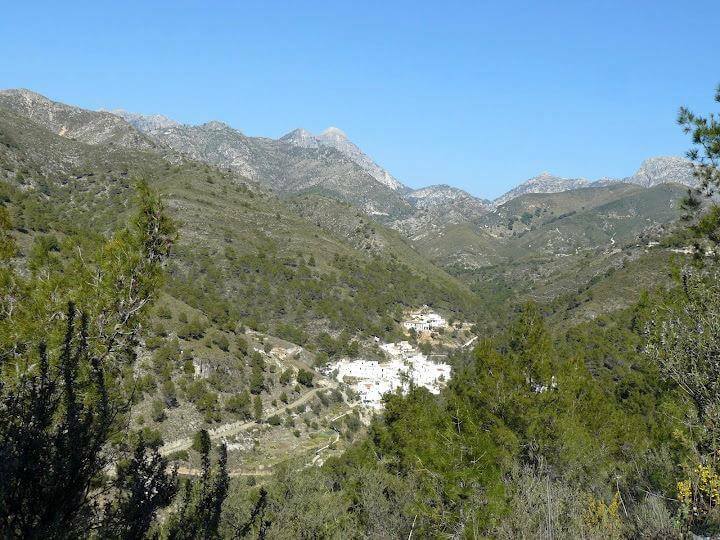 Acebuchal is an exceptionally beautiful hamlet situated right in the heart of the Sierras of Tejeda, Almijara and Alhama Natural Park. 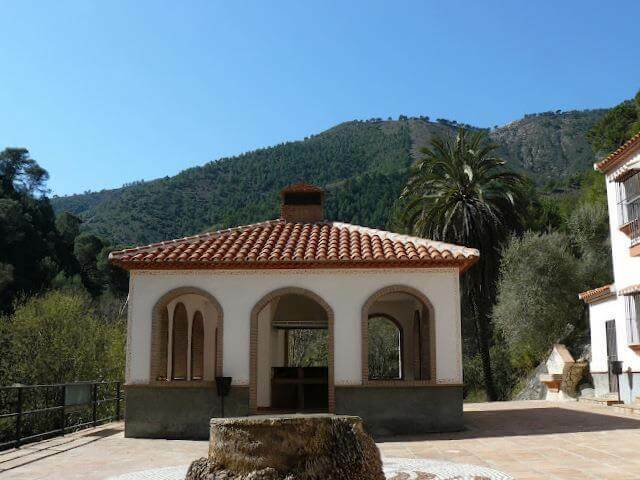 It sits almost on the border between Frigiliana and Competa. If staying in the area you couldn’t hope for a better day trip. Spectacular scenery, great food and village that is most definitely ‘lost’ in time. Acebuchal’s history is complicated to say the least. 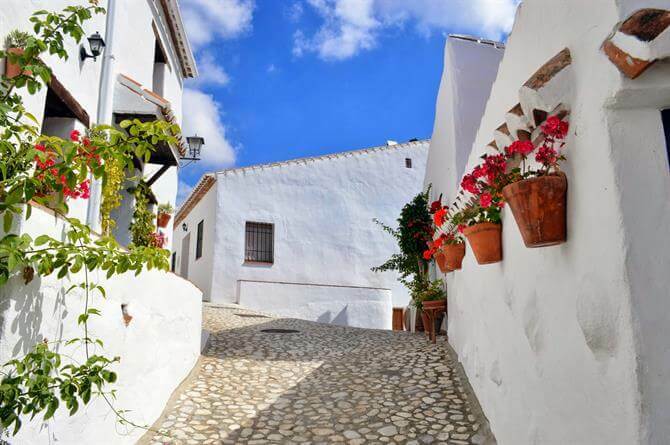 Originally founded in the 17th century, the village sits on a traditional muleteers’ route between Granada and Malaga. It has always acted as stop over for passing traders, a place to rest and get supplies. As with so many villages in the area, Frigiliana and Acebuchal suffered terribly during the Spanish Civil War. Frigiliana was declared ‘Red,’ (Republican) in July of 1936. The Fascists quickly retook the village in February of 1937 and took their revenge on anyone suspected of being communist. When the Civil War finished in 1939, Franco turned his attention to mopping up any resistance movements. The Marquis were top of his list. What began, was a bloody guerilla war fought against the Guardia Civil that lasted until 1952. Frigiliana and Acebuchal were right on the front line. The villagers were harassed from both sides. In the summer of 1948 the authorities ordered the residents of Acebuchal (some 200 people) to abandon their homes. The village had long been suspected of providing refuge and food to the guerrillas. The ‘ghost’ village of Acebuchal remained abandoned until 1998. One man – Antonio “El Zumbo” fulfilled a lifelong dream and returned to Acebuchal and began to rebuild the village bit-by-bit. The results are nothing short of spectacular. Bearing in mind that everything was done by hand and there wasn’t even electricity or water until 2003. Antonio’s family now run a successful restaurant and rural hotel in the village. The food is fantastic, most of the produce is grown locally and organically – the salads are out of this world, as are the home-made breads, desserts, ice creams and family olive oils. The house speciality is game, with wild boar, rabbit, venison, duck and lamb dishes. A meal there is highly recommended. One important point to bear in mind is to bring cash, Acebuchal has no landlines, as such, credit cards are not accepted. They are closed on Mondays and its always better to call first – Antonio +34 650617901 or +34 666790895 – website – (his son, also called Antonio, speaks fluent English). Wandering the streets of Acebuchal and visiting the tiny village chapel really is like going back in time. Mules and donkeys are still the order of the day. Nature lovers couldn’t hope for a better location. The hiking is second to none and the area has an abundance of animals (we have seen wild boar there on several occasions). For the more adventurous – a visit to the Fabrica de la Luz (III) is a great experience. You couldn’t hope for more idyllic spot for a picnic. There are approximately four kilometres of forestry track from Acebuchal to the Fabrica. The track is ok and passable with a normal car, but is also very narrow and ‘aerial’ in places – not a road for the faint hearted, or people unaccustomed to driving in these conditions. Walking down is fairly straightforward. The path is level underfoot, but can be a long walk back up in the summer months (bring lots of water!). 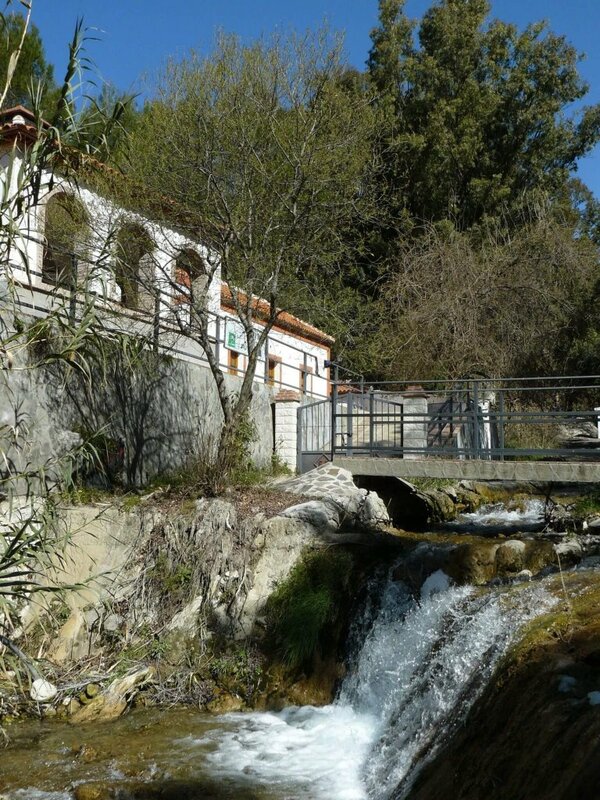 The Fabrica really is a little oasis in the middle of the Natural park – it is far quieter than its cousin and neighbouring Fabrica de la Luz in Canillas de Albaida. There are various rock pools and small waterfalls – which provide a great way to cool off on a hot summer’s day. The water is exceptionally clean and drinkable. The Junta de Andalucia has declared the area an ‘Area recreativa,’ – as such, they are various facilities in place, including a BBQ area and camping is possible, although only with prior permission. 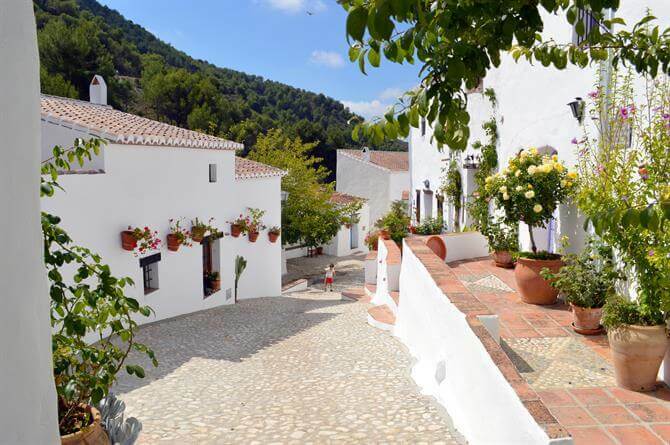 Acebuchal is situated some 7kms from Frigiliana. Follow the signs for the center of Frigiliana, just before getting into the very center, the road veers off to the right. You should be on the old Torrox-Competa road (MA – 9012) map. The road winds upwards (offering some spectacular views of Nerja) after approximately 2kms keep your eyes open for a sign on the right. There is a large wooden sign advertising the bar/restaurant in Acebuchal – take a right here. The road veers up to the right and eventually you come to a junction at the top. Take a right following signs for Acebuchal. The road quickly turns into a track and after a couple of kilometres you drop down into the village. Follow the same track (there is only one) if wanting to carry onto the Fabrica de la Luz. The original article I wrote for Spain Holiday is here.